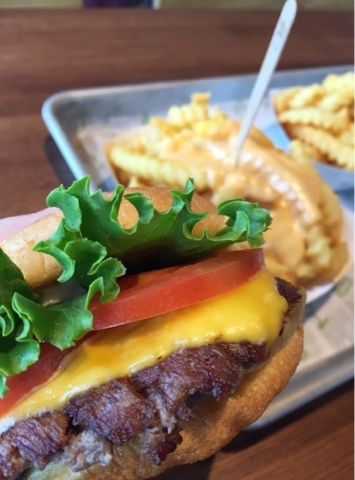 You can never have too many go-to burger places. Mighty Fine, P. Terry's, Contigo, we have lots of favorites. 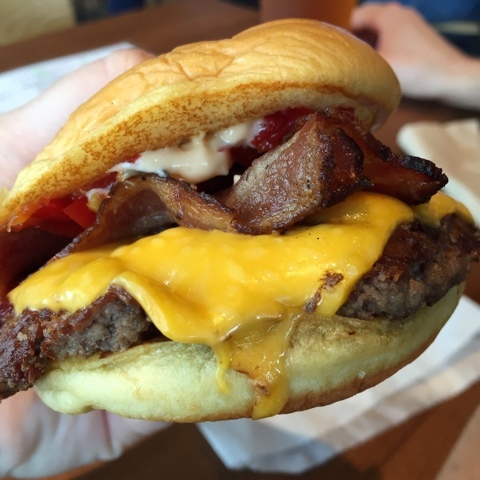 Beef isn't one our staples at home, but we do get burger cravings. Often. And when that happens, we usually go out. 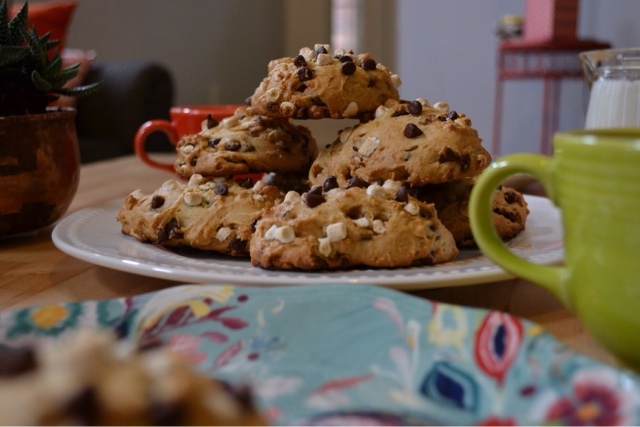 It's a nice break from cooking & a great excuse to try out new places. 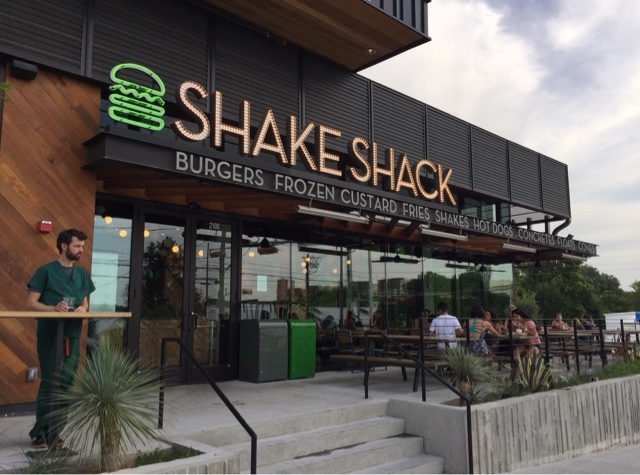 Last week, we tried out Shake Shack, which opened up on South Lamar a few months ago. 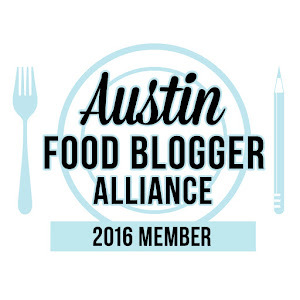 I had heard from foodie friends that it was great, so we were eager to see for ourselves. We were impressed! First off, the staff was incredibly friendly. Everyone we interacted was so nice, helpful & kind. I love that & it goes a very long way in my book towards bumping a restaurant up on my go-to list. As we were waiting for our food, we looked around, noticing all of the fun decor. 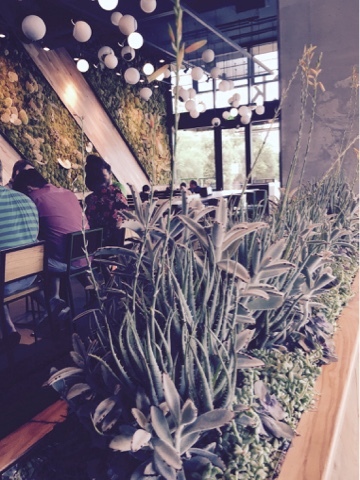 Ledge of amazing succulents that I totally wish was in my house? Check. Real (real!) 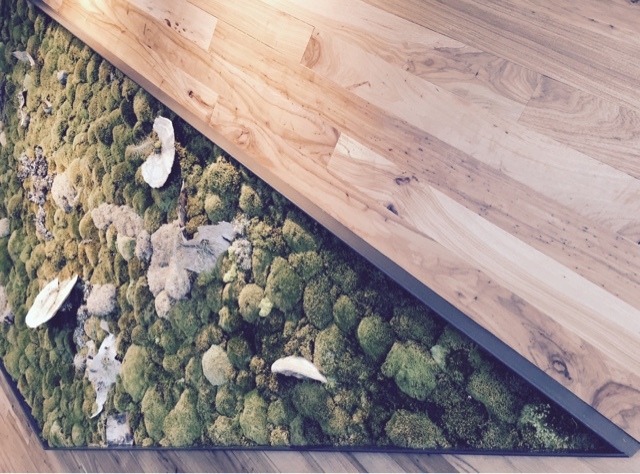 moss wall hangings? Check. Succulents hanging from the ceiling in mod retro globes? Check, check. I also love that the tables have a burger design burnt in & that they were once bowling lanes. It's a seriously cool place y'all. We got our food quickly & dug right in. The regular fries were tasty, perfectly seasoned & crispy. Andrew didn't care for the cheese fries, but I thought they were delicious. I'm a big fan of American cheese with burgers & the sauce's blend of American & Cheddar cheeses hit the spot. 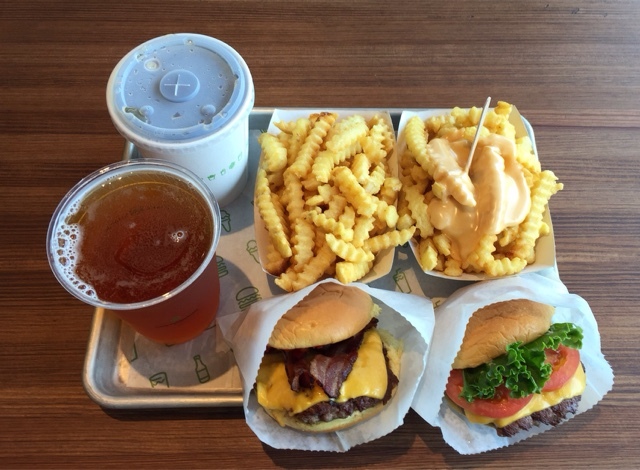 The ShackBurger had a hearty, meaty bite, super-fresh, flavorful veggies & a taste that brought me back to childhood. I really liked that all of their burgers are made with thinner patties. I am Texan & I love beef, but try hard to just eat it in small amounts & these guys were just enough to satisfy my craving. My favorite was the SmokeShack burger. The combo of sweet, mildly spicy cherry peppers & the ShackSauce was heavenly. SmokeShack burger (left) with bacon, cherry peppers & ShackSauce, ShackBurger (right), a cheeseburger with all the veggies & ShackSauce, plain fries & cheese fries. 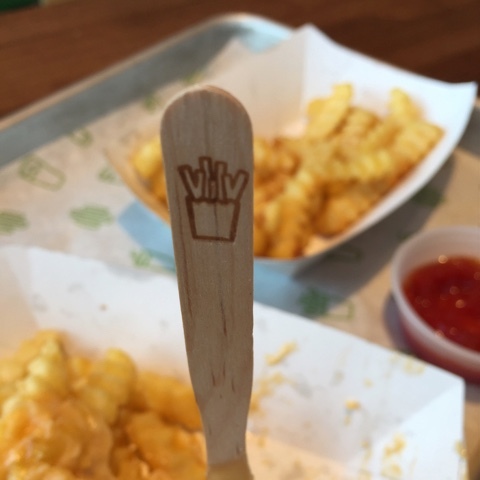 A cute wooden fork for shoveling in cheese fries & leaving fingers mess-free? Genius! 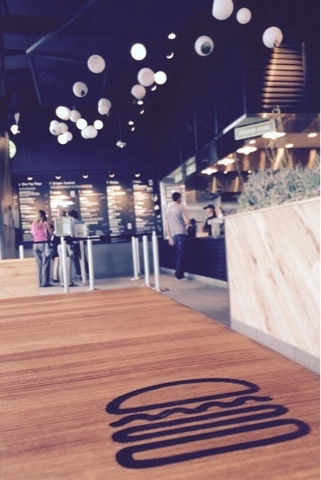 I really enjoyed my experience at the 'famed' Shake Shack & we will be coming back. Andrew's down to try some of the all-natural hot dog creations & I want the root beer float with a whole SmokeShack burger to myself. :) And, a quick tip: I had heard the lines can be long, but we went around 6pm on a Tuesday & were able to walk right in, order & find a table without any trouble. 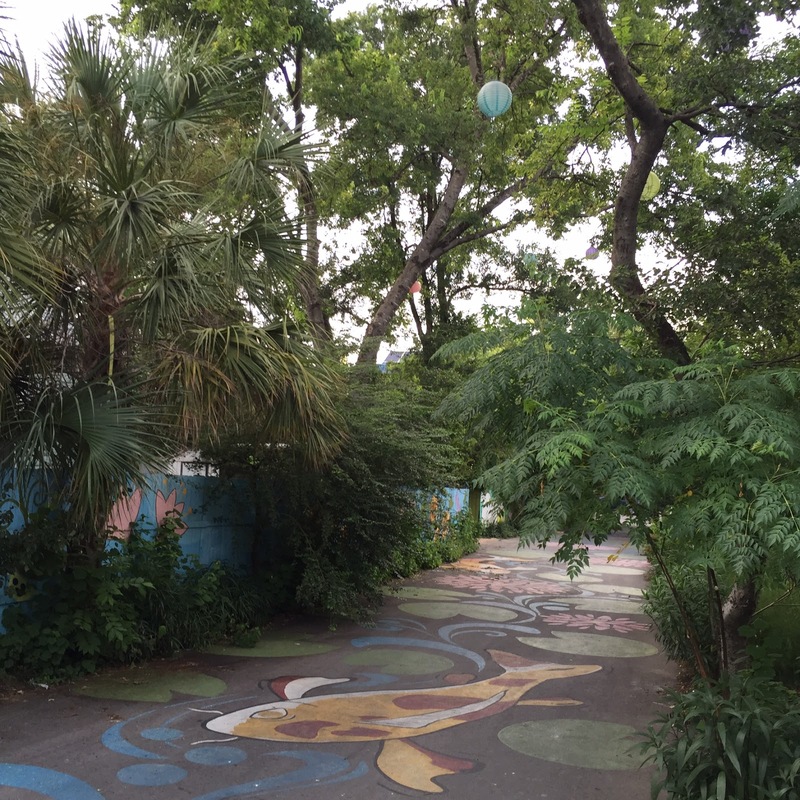 And if you need to walk it off after chowing down at the Shack, be sure to venture over to Fairy Alley, which is just behind the complex (behind Alamo & the parking garage). It's a little gem we found after eating, just by strolling around the neighborhood. 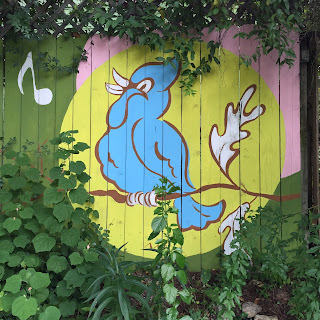 Roaming around South Austin (especially the 78704 area) is always great because of the hidden treasures you can find. There are so many unique homes, displays & fun spots. 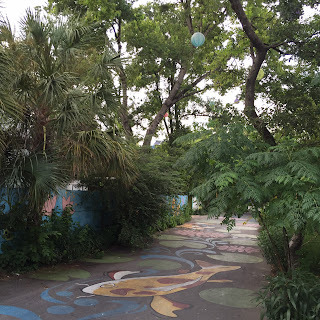 Fairy Alley is packed with colorful lanterns hanging from the trees, beautiful street/fence art & tiny fairy homesteads.